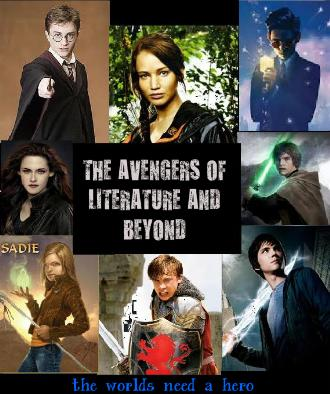 My Fanmade Cover of The Avengers of Literature and Beyond! :D (I AM SO BORED). OHMYGAWD I AM SO BORED D: So I made a cover for a story I MIIIIIIGHT write. Took me a while and badly edited but I amor IT ANYWAY :D THOUGHTS?. Wallpaper and background images in the True Writers club tagged: book cover the avengers bored to death true writers wtf am i doing with my life random. This True Writers fan art might contain animado, cómic, manga, historieta, anime, and dibujos animados. Coolio! I lurv Sadie Kane, cuz, well, I'm Sadie, and she's awesome!!!!!!!!! Aw thanks guys :3 I know it's ceappy but I'm glad you like it. @rory2011 haha yeah, I frickin love SW!